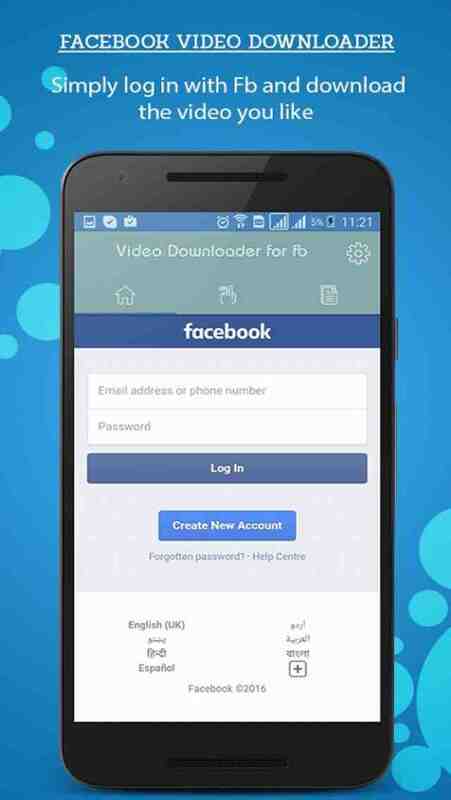 Facebook Video Downloader App permits users to download videos directly from facebook. After downloading facebook videos you can play these FB videos offline on your mobile devices. Save Facebook HD videos directly into your phone gallery and start watching video on your mobile phones. 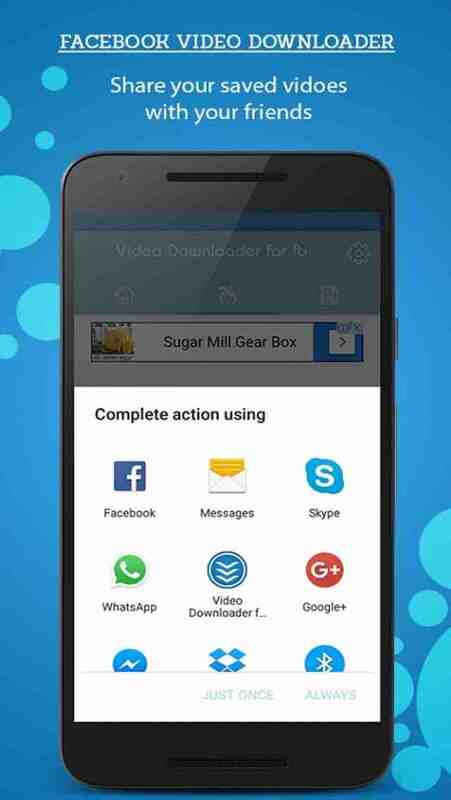 This is one of the fastest video downloader for facebook with easy to use interface. The Facebook Video Downloader allows users to save all videos from the facebook to their SD card and watch them offline. The videos are stored in the gallery with facebook videos folder. This application has the ability to download any videos from twitter and also GIF, Image from any site. Type the URL of any videos in the URL tab section and start downloading. ?Download videos from any page, even the pages that are not liked by you. ?You can browse facebook like facebook app. ?Enjoy playing videos offline after downloading from facebook. ?Videos will be downloaded in the background and you can enjoy surfing facebook. ?Share this app on whatsapp, Facebook Messanger, and facebook lite. Also you can share it using other social networks like twitter, Instagram, Tango and Snapchat. While download in progress you can close the downloader app and it will notify you when video is downloaded. 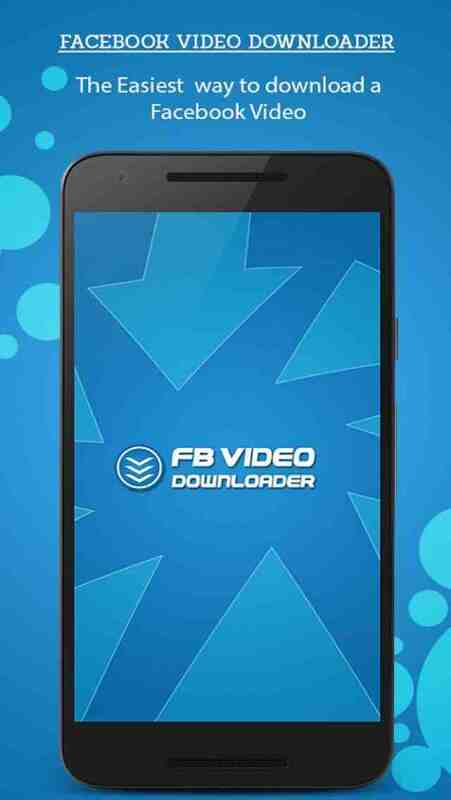 Download as many files as you want using this fast video facebook downloader application. You have to login to facebook to use this application. After login scroll the facebook news feed and click on videos which you want to download. You can name specific while saving the facebook video. This app uses the Facebook(tm) API to download facebook videos and is not endorsed or certified by Facebook. All Facebook(tm) logos and trademarks displayed on this app are property of Facebook.